First, I should mention that before Saturday, I’d never cooked ribs in my life. As a Texan, that’s shameful and I’m about to make it worse by confessing that my only time to cook ribs was in a crock pot but well, it is. 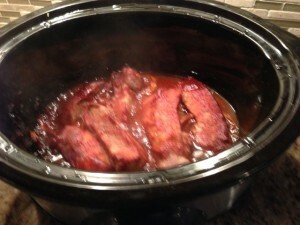 With all that said, these slow cooker ribs that I found on Pinterest are amazing and oh, so easy. Package of Country Style Ribs (pork) or you can use beef ribs too. 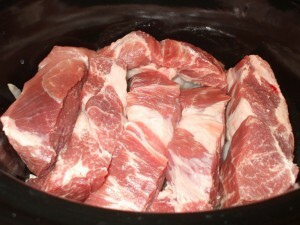 You also can use boneless or bone in packs of ribs. 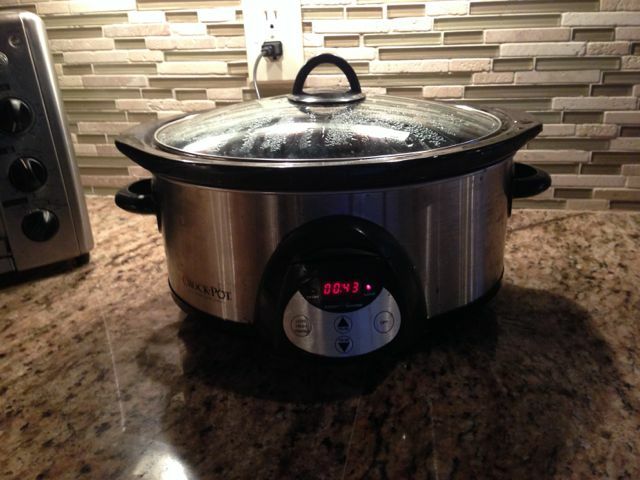 Set your crockpot on low. Slice your Onions and Garlic Cloves and place at the bottom of the pot. Place your ribs on top of the Onions and Garlic. Add a few drops of Liquid Smoke ( I used Hickory). Pour your BBQ sauce over ribs so it covers them. Sprinkle some Salt and Pepper on top. Pop on that lid and let cook on low for 6 hours. This recipe was quick, easy without being a mess and though I live in Alabama my house smelled like a Texas Roadhouse. Question: Do you have any slow cooker recipes for some of your favorite grilled items? Share them. I’d love to try something new.